The Brumbies 2019 season hopes are slowly evaporating after going down to the Crusaders in Christchurch 36-14. 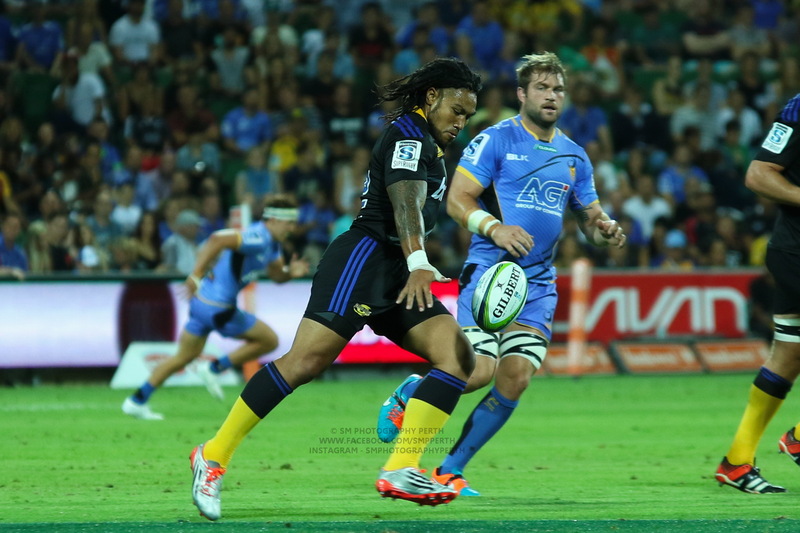 Despite the final score, the Brumbies put in a valiant effort and even went to the break up 7-0 before the Crusaders showed their Championship mentality with 36 points in the second half. Two yellow cards for high tackles against the Brumbies and a rampant Crusaders display in the second half saw them run out 22-point winners. 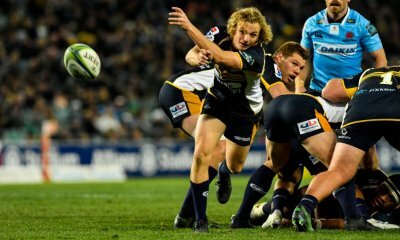 The Brumbies rested a trio of their Wallabies in Scott Sio, Folau Fainga’a and Rory Arnold and were also without the injured David Pocock but their replacements looked good in the first half, with Darcy Swain a standout before the All Black laden Crusaders bench took over. The opening minutes resembled a Barbarians game, with both sides willing to throw the ball around with an obvious game plan from the Brumbies to get the ball wide as early as possible early in the phases. The frantic nature continued with neither team able to breach the defence after 20 minutes with the Brumbies knocking back two easy shots at penalty goal and attempting to use their rolling maul but came up empty after good defence from the Crusaders. They thought they had scored the opening points after 24 minutes with patient build up from their forwards and multiple phases but a knock on right on the line from Murray Douglas to let the Crusaders off the hook. The visitors got a crucial leg up after 27 minutes with Owen Franks given a yellow card for a shoulder charge on Henry Speight but after a few scrums and penalties against the Crusaders, Christian Lealiifano finally stepped his way through three defenders to open the scoring after 33 minutes. In the shadows of half time, the Crusaders had their best chance of the half to hit back but the Brumbies maul defence, in particular Darcy Swain in his starting debut, stood up right on their own line to deny a Crusaders try and leave it 7-0 at the break. The Crusaders came out with better intensity early in the second half and on the back of a penalty, it only took three minutes for them to respond from winger Sevu Reece and Richie Mo’unga’s conversion leveled the scores. The Crusaders only need a sniff to turn the game and then only minutes later they looked to have scored but TMO Ben Skeen and his trusty camera 7 struck again to find a knock on from Quinten Strange as he dived over. But the Brumbies couldn’t get out of their end and after a scrum penalty, Will Jordan went over in the right corner after a high tackle from Toni Pulu that saw him with a yellow card. Right off the restart Richie Mo’unga found a gap on his own 22 and looked set to score before Tom banks got him right on the five metre line but another penalty was taken advantage of by Will Jordan who had his head smashed for a second time and scored but the Brumbies were very lucky not to be down to 13 men after Tom Cusack was the culprit. With the Brumbies chasing the game, they attempted to throw it wide but Sevu Reece swooped on a long pass to claim his second try of the game as the Crusaders ticked past 30. 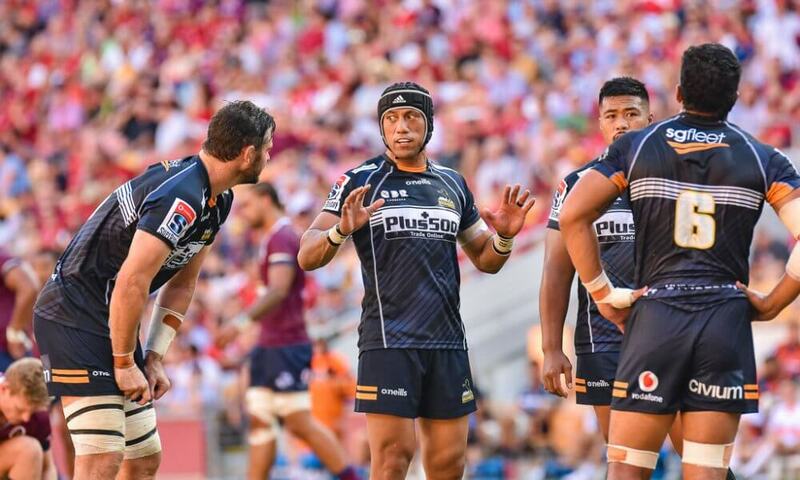 But the Brumbies showed they could score a long range try themselves and from deep in their own end, Toni Pulu found a gap and showed his pace and he found Tevita Kuridrani for a consolation try. A late penalty goal to Brett Cameron stretched the margin to 36-14 and consign the Brumbies to another defeat in Christchurch. The second half. The Brumbies second halves in 2019 have been disappointing but you know what to expect from the Crusaders. Three tries in 13 minutes was all they needed to run away from a valiant Brumbies side with 36 points in the second half. Plenty from the Crusaders to consider after that performance including Will Jordan and Sevu Recce with doubles. Matt Todd was big around the rucks but once Richie Mo’unga started pulling the strings in the second half, the Crusaders were impossible to stop. Honourable mention to Darcy Swain in his starting debut. 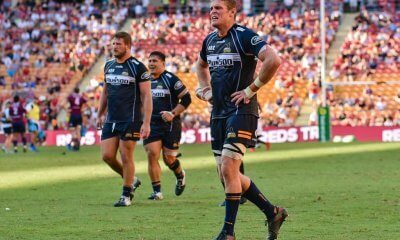 The Brumbies rested Sio, Fainga’a, Arnold and also without the injured David Pocock so it was left to other experienced players. James Slipper and Allan Alaalatoa had solid games where they played many minutes. Lachie McCaffrey had a good matchup against Keiran Read. I do not understand why Toni Pulu was yellow carded. I have seen dozens of occasions where someone stops a try with a yellow card offence and penalty advantage is awarded, and then a try is scored anyway but the yellow card is never given. Why was it given in this case? Is it just because we’re talking about the Crusaders? To make matters even more confusing, the Brumbies did exactly the same thing again a few minutes later and no yellow card was forthcoming. I just wish referees would be consistent around this area, it’s certainly a lot more achievable than certain marginal ruck and scrum offences. He’s done what he wants 99 other times… And no one ever has a clue which Jaco’s going to be on the field – one day he’s clear and logical, the next he’s enigmatic and unpredictable. In the space of 60 seconds he lost the plot. penalised the Brumbies for front row collapsing on their own ball, but the Crusaders front row were completely on their guts, whilst the Brumbies front row still had some level of being on their feet. Crusaders then opt for a scrum from the penalty. Brumbies drive through the Crusaders forcing their front row to stand up, but Jaco takes no action, resulting in a try. I don’t think an under-dog has ever won a game under Jaco. It seems he’s made up his mind prior. xxxxx has won more games, so therefore, they must be doing something right and I’d better penalise the under-dogs!!!! I agree entirely BF. That collapsed scrum was an important part of the Crusaders gaining momentum. They probably would still have won given the strength of their bench vis-a-vis the Brumbies, but Jaco should have a lot of explaining to do about those couple of very poor decisions. There was a classic moment in the second half. Brumbies had the put in 5 metres out and the Saders front row deliberately made it unstable, engaging and backing off the weight and moving their feet. Jaco penalised the Brumbies for collapsing. The proof of the Saders skullduggery came when the Saders opted for a scrum and hey presto it was a solid as a rock – no movement. They should show that to referees for coaching purposes on just how easily they can be conned. What Pulu did was dangerous. He was right to get yellow carded. Irrelevant to what I’m saying. The offence deserves a yellow card but in those circumstances one is rarely given if the try is scored anyway. Like I said, exactly the same thing happened 5 minutes later but this time it resulted in no yellow card. a poor effort from the brumbies the 2nd half! The battle of two of the most underperforming 10s this year so far! Lealifano and Mounga…..
Ryan Crotty was my motm, man they’ll miss him next year! Frankly, given the cattle available, I call that a decent result for Australian rugby. Not as good as the Toffs failing again, but encouraging nonetheless. Darcy Swain is a real prospect, isn’t he? 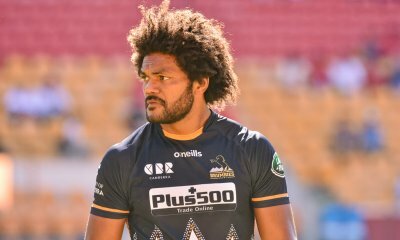 Sure, Sio, Fainga’a, Arnold and Pocock were sorely missed, but some of the Brumbies’ replacement players are no more than NRC standard. The most obvious deficiency is having no No 7 replacement for Pocock. Cusack is a light weight No 6 and puts virtually no pressure on opposition ball at all. Irae Simone has some ball handling skills and kicks well for touch, but is not having an impact otherwise at No 12. Lachie McCaffrey is a trier but Super Rugby is his go. No point considering him for Wallabies. JJH and Muirhead are more NRC than Super. Rory Arnold’s absence at lineout/maul time was a telling factor in the second half. One or two of those attacking mauls could well have led to tries had he been there. He is unmatched at pulling the attacking maul forward and through the defense. Pete Samu is realistically a number 7 when you look at the size of him. Our season has been utterly fucked by the injury Pocock suffered at that camp though. I agree about Samu and can’t understand why he hasn’t had the 7 spot and played the full 80 minutes at all in the absence of Poey. Poor selections in my opinion. We only have to hark back to last year to see that having the strongest and most talented backrow (Valetini, Pocock, Naisarani) means nothing when two of them are out with long term injuries. Same situation has hit the Brumbies again this year. Very poor recruiting in the off season. Agree entirely except maybe with McCaffrey. I think he could function well for the Wallabies if their game plan was appropriate for a guy who has a broader skillset than “make a few metres off the back of a scrum”. Cheika didn’t sound real enthused though, when Kafer put McCaffrey’s selection to him the big man simply said “he’s a different style of player – very good, but a link player.” AKA he’s not in the same mould as Naisarani or Timu or Dempsey so he’s not going to get a run. That’s interesting. Nick Bishop was very clear the other week, he sees McCaffrey as a very good Super player, but that’s it. To describe him as, “But a link player” implies that apparently the Wallabies don’t need any. Because, apart from Pocock, we don’t have loose forwards who pass. Pocock’s a solid, regular and fairly reliable passer, but if we don’t go Pooper, there’s absolutely no guarantee he’ll be in the starting team. > Unlike others, my opinion of McCafe continues to grow. Has boots and can play. > I’ve always been a bit of a Sam Carter fan at Super level but when you have old man status and come off the bench your role is to settle and inspire – not cop a yellow. > I won’t bang-on typical Aussie Ocker style about the Cru’s ability to give away penalties and slow stuff down to suit their circumstances. But if anyone ever needs a masterclass in how it’s done, then watch the minutes Benny-Boy was off the park. Top notch game management on their part. Cynical as all hell but top notch. > Bloody hell they missed Poey. > Rack the queue lads. She’s over for this year. Start blooding Newbies and building a game-plan based on more than line-out driving (as much as I love mauling).